An immigration expert has warned that entering the US could become a lot more difficult. EARLIER THIS WEEK the US House of Representatives voted in favour of tightening restrictions on travel to the United States by citizens from certain countries who are currently allowed to enter the country without a visa. Obama recently called on Congress to tighten the visa waiver programme in a speech on national security. The bill in question was put forward following the Paris terrorist attacks which claimed the lives of 130 people, and the mass shooting in San Bernardino, California that killed 14 people. It was passed by 407 votes to 19. The Parisian attacks were primarily carried out by citizens of Belgium and France. Currently the Visa Waiver Programme allows the citizens of 38 countries, including Ireland and much of western Europe, to travel to the US without a visa and stay for 90 days or less once they fill out an ESTA application. Under the proposed legislation, visitors from these countries would have to obtain a visa to travel to the US if they have been to Syria, Iraq, Iran or Sudan in the previous five years. The bill, proposed by Republicans and backed by the White House, would also require participating countries to share counterterrorism information with the US. About 20 million visitors go to America each year for business or tourism under the programme, largely from European countries. Travellers must submit data through an electronic counterterrorism screening programme maintained by the Department of Homeland Security before boarding a plane, but they are not required to go to a local consulate to apply for a visa, as tourists from other countries must do. 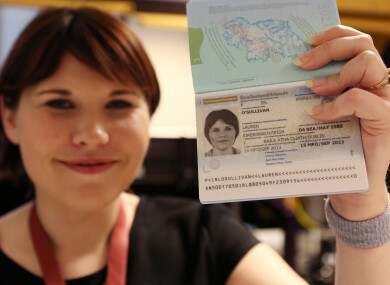 US immigration attorney Caro Kinsella, originally from Limerick but based in Florida, has warned the latest measures could cause serious concerns for Irish citizens and eventually lead to the visa waiver programme being scrapped entirely. Kinsella said many politicians will argue that the proposed rules will “only target descendants of Syrian or Iraqi nationals, or those from other countries alleged to be supporting terrorism”. The main concern for Irish nationals now is will the visa waiver programme eventually be abolished, as the United States decides how best to protect its boarders from terrorists. Irish people coming to the states for Christmas shopping or summer holidays may soon become a thing of the past if the VWP is abolished or made overly restrictive. Read: Where does Ireland stand in terms of global terrorism? Email “Concerns for Irish citizens as US visa waiver may be abolished”. Feedback on “Concerns for Irish citizens as US visa waiver may be abolished”.